-2 degrees Fahrenheit. Minus two for God’s sake! That’s what the temperature was when I sat down to write. My fingers, still cold from shoveling today’s freshest snow, are behaving as if they have forgotten where the computer keys are, each stroke awkward and tentative. I’d planned to share my current culinary obsession with you: roulades. 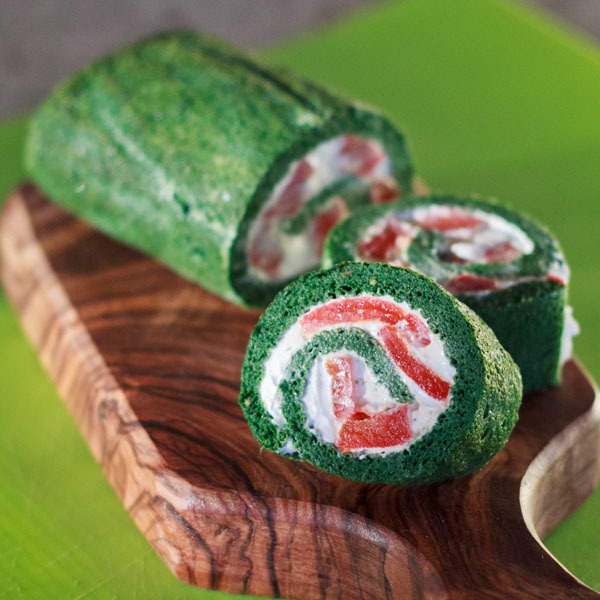 (Roulade is derived from the French word “rouler” meaning “to roll”. Loosely, it refers to something flat and edible—meat, sponge cake, omelet–that is wrapped, or rolled, around a filling. It’s also a rapid succession of notes sung to a single syllable. I’d never heard of either, the food wrap or the musical embellishment, until last month.) There are so many things you can make out of and into roulades that it would make for a fine story on its own. But it’s below zero just outside the window where I’m writing from, five degrees warmer than it was when I reluctantly crawled out of our warm bed, and according to the overly smug weatherman on the local channel, this is today’s high. It’s like this, I seldom see you face to face. These days scheduling a date to meet for coffee must be done three weeks in advance. So when we finally get together I don’t want to waste time on the weather. I want to ask, “How are you doing?” and this time with feeling. “How is the job hunt going?” “Are you taking care of yourself?” If I were an avid Facebook user I’d know the answer to some of these questions, and I could have “liked” your status update regarding your dad’s recent bout with kidney stones. Regrettably that sense of connection available anytime at my finger tips often leaves me feeling completely disconnected. Besides, when it comes to the weather, I’m all talked out. Daisy the cashier and I talked about it while she rang up my groceries, all eight bags of them. It’s all our mail carrier (who most people will agree has the worst job ever this season), can talk about, and who could blame her. The guy at the gym that wheezes on the treadmill next to mine might wheeze less if he didn’t talk about the weather or anything for that matter while he was running. Even the stranger on the train this morning gave it airtime, a particularly unusual conversation for a man without a hat or gloves and wearing only a lightweight leather jacket. But here’s the thing, I can’t not talk about the weather, because it no longer plays a background role in my life; it overshadows everything I do or don’t do. Fashion decisions from the ankle up are impossible, layer after layer after layer. (There’s only one choice for the shoes: my Sorel “Joan of the Arctic” boots. It seemed like a comical even dramatic name for a pair of boots when I bought them last winter; I’m not laughing now.) Cooking classes have been cancelled due to icy road conditions. Tonight’s dinner plans with friends, months in the making, postponed because no one wants to venture out unless it’s absolutely necessary. Still, I have to go out again to finish shoveling the snow. I pile on more layers and grab the shovel, its blue plastic edge frayed from overuse. People trudge past unrecognizable to me with only ten square inches of flesh showing and ice crystals twinkling on their downward gazing lashes. It’s too cold for conversation. They press on. If there was a “How’s it going?” in their wake, it was muted under their woolen layers. In spite of my craving for real, live social connection I hurry too. Back in the house, I pull off my boots, slip into shearling-lined moccasins, and twirl my scarf from around my neck like a roulade coming undone. The phone rings as I’m hanging up the last of my arctic gear. I race to answer it—the outside world is calling. The voice, so familiar, it warms me instantly. I grab a blanket and curl up on the couch, settling in for a long overdue conversation with a friend. It’s our consolation prize for the cancelled dinner plans. We have a lot of ground to cover: the holidays, a recent trip to Nashville, and such, but first we have to talk about the weather. Preheat oven to 400°F. Line a 14×10-inch jelly roll pan with buttered parchment paper. Bring a pan of water to a boil and add spinach. When the water returns to a boil, drain and rinse the spinach in cold water. Squeeze spinach dry with hands. Place spinach, eggs, salt, pepper, and nutmeg in a food processor or blender; pulse to a smooth puree. Spread spinach mixture into the prepared tray. Bake until set, 9-11 minutes. Lift the baked spinach off the pan and let it cool. For filling, combine cheese, 3 tablespoons cream or milk, and herbs until the mixture is smooth and spreadable with the consistency of peanut butter, adding more cream if necessary. Add salt and pepper to taste. Cut roulade in half crosswise so you have two, 7×10-inch pieces. Peel the baked spinach off the tray lining paper. Place each half on a piece on plastic wrap. Spread filling evenly over both halves, to within about a ½-inch of the edges. Cover each with a layer of red pepper slices. Roll up each roulade half from the long edge. Wrap in plastic wrap, twisting the ends to secure. Refrigerate the rolls 2 hours or until ready to serve. Unwrap. Trim the ends of both roulades. Cut each into 10 slices. Serve chilled or at room temperature. Oh Bobbi! I feel your pain. The polar vortex is evil. I bought my very first pair of Sorels when I moved to Ottawa 21 years ago. The salesman asked me if I wanted the “regular ones” or the “fashion ones.” Of course I asked for the fashion ones. When he presented them to me, I was sure he had mistakenly brought out the regular ones. They were the ugliest boots I had ever seen. But no, he assured me that these were the fashion ones. They quickly became very beautiful as nothing else kept my feet as warm. Hope you can find ways to stay toasty. P.S. The roulade looks so pretty. I had no idea that roulade also refers to a rapid succession of notes sung to a single syllable. I learn so much from you! That is hilarious. There is nothing fashionable about my Sorels either, but they are WARM! Though I haven’t needed them for a few days–it’s too cold to even venture out to the gym. This looks insanely GOOD and beautiful with the colour contrast. Do you think it will work with the frozen spinach as there are still some left in my freezer..if yes, how much should I use? Yes, frozen spinach will work just be sure to squeeze as much water out as you can or the roulade might be a little soggy. 12 cups of leaves is about a pound of spinach. A little more or less shouldn’t matter too much. Let me know how they turn out! Stunning contrast between the roll and the filling. These are beautiful. Thank you for describing “roulade.” Reading your piece, I realize it’s a term I thought I knew, but didn’t. Sounds like perfect cold-weather food! Had no idea how you got the spinach to stay flat, but now I do. We’re “toasty” here in Boise at 25-degrees. Haven’t seen the sun for days and days, but this recipe will add some where Nature has been negligent. Thanks! 25 degrees? That sounds like a heat wave, ahh. On the brightside, literally, of this subzero spell the sun is shining. i love the colors. looks like a great lunch!